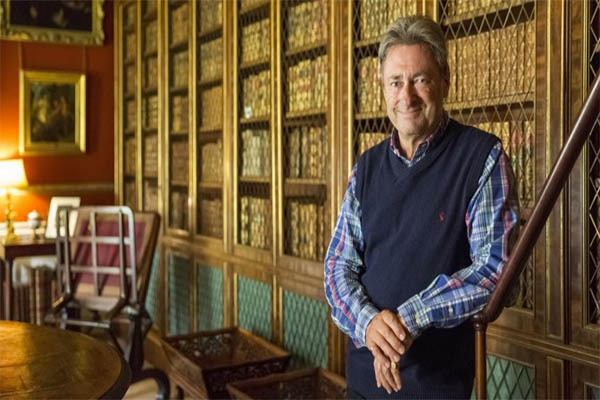 Alan Titchmarsh is about to host a new series on Channel 5, highlighting the conservation work of the National Trust and showcasing homes and gardens from across the UK. Secrets of the National Trust, explores stunning estates, historic houses and miles of landscapes. Here the legendary gardener and presenter, gives us a glimpse of the new series and sheds some light on his inspirations. A: I live in my dream home. It is an old Georgian farmhouse with five bedrooms and full of character. I love collecting books and have amassed a collection of between 5,000 – 6,000 books, over the years. A: That’s a good question. I would take a pair of wellies. I am not fond of wet feet, so they would come in useful. I would take my old bugging knife, which was given to me in 1964. And one last thing, I would take one of my books from my library, but which one? It would have to be one of P.G. Wodehouse’s classics. Q: If you could live in any National Trust house in the new television series – which one would it be? A: It would have to be Hill Top, Beatrix Potter’s 17th-century farmhouse in the Lake District. It is an enchanting place. A: I love London because it is so accessible. You can go to the opera, ballet and theatre, or enjoy its numerous art galleries. Every time I visit, I discover something new. Q: Who or what inspires the most in life? A: Many people inspire me in life. I am open-minded and like to see other people’s points of view. That’s important to me. Q: Have you had any DIY home disasters over the years? A: I am good at DIY after being an apprentice gardener. But I am not sure if my wife would agree. I repaired some louvered doors on a cupboard in a tiny terrace house that we lived in. But then there was a green flash and plume of smoke. I blame the electric drill! Q: Who has been the most interesting person you met over the years? You must have met plenty of famous people in your time as a gardener and television presenter. A: Nelson Mandela was an amazing man. I looked around his house with him years ago. He was a remarkably gentle and generous man. A: I love the work of Quinlan Terry. The Adams’s brother were incredible architects, too. Q: What was the most interesting moment in the new Channel 5 series? A: It was a real-eye open, looking around the amazing collections of large stately homes, discovering new and exciting things from the past. Q: If you could appear in any movie or TV series with a celebrity, who would it be? A: I think I would like to appear in a Bond movie or walk into shot on Downton Abbey pushing a wheel barrow in the background. I did mention it to my friend Julian Fellowes, but I am still waiting for the call! Q: What advice would you give to anyone who wants to get into TV presenting? A: Don’t go too far, too quickly. Start with small hospital radio station. Don’t go straight onto national television. And take opportunities when they come along. Try to remember to spot things when they come to you from left field. Consider the risk involved, too. If you have more to gain than lose, seize the opportunity. Secrets of the National Trust airs on Tuesdays 9pm on Channel 5 from 7th February.